Asha 311 does not have document viewer to see email attachments like word, excel, pdf etc. buddhi, 26 Feb 2013is youtube vevo hd videos are play in this phone?is this phone have a flasher for camera?plz t... moreyes it can... Asha 311 is awesome people!! 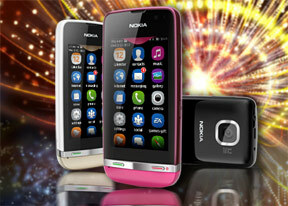 i want 2 buy dis fon ...cn anyone tell me abt the video quality,camera,net speed....cn anyone suggest..whether 2 buy or nt? Hi friend I want to perches this HS ....what about internet speed can anybody help me? I have been using this phone from october. Its a great phone. But it hanged a few times. Hope the software updates will fix the problem. Is this phone support skype or skype video call ? kitsos7, 25 Feb 2013this phone is good or no because i want to buy this phone please tell me..;;Been having mine for a month, and so far it's been good to me. For the price, it is loaded with features. I use it for facebook and web browsing, no problem. Connects to my wi-fi very easily. is youtube vevo hd videos are play in this phone?is this phone have a flasher for camera?plz tell me. I'll buy this phone. Specs are okay, Specs suits the price. I hav bought it for 6500.